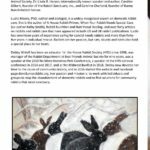 Discarded Rabbits: the Growing Crisis of Abandoned Rabbits and How We Can Help, by Lucile Moore with Debby Widolf, foreword by Michael Mountain. Available on Amazon.com, *FREE* shipping on qualifying orders. Discarded Rabbits is an invaluable handbook on rabbit rescue that is filled with helpful information for both first-time rescuers and those with years of experience. It is logically organized with separate sections on large-scale rescues and individual rescue. Our new book on rabbit rescue will be out later this spring 2019! Lucile and I have combined our years of knowledge and experience with that of many others in rescue to create an information packed volume. Many people contributed to the book, including Faith Maloney, a co-founder of Best Friends Animal Society, Dr. Linda R. Harper, internationally known speaker and author, Sorelle Saidman, an expert on colony rabbit rescue, and Nancy Furstinger, author of The Forgotten Rabbit. Readers will find logically-organized sections on both large and individual rabbit rescue, and the book contains helpful information for both first-time rescuers and those with years of experience. Lucile and I present both currently accepted and controversial or “outside the box” potential solutions to the abandoned rabbit crisis. 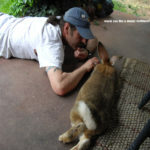 We have Included many compelling true rescue stories that reveal the tragedy, challenges and triumph of rabbit rescue. 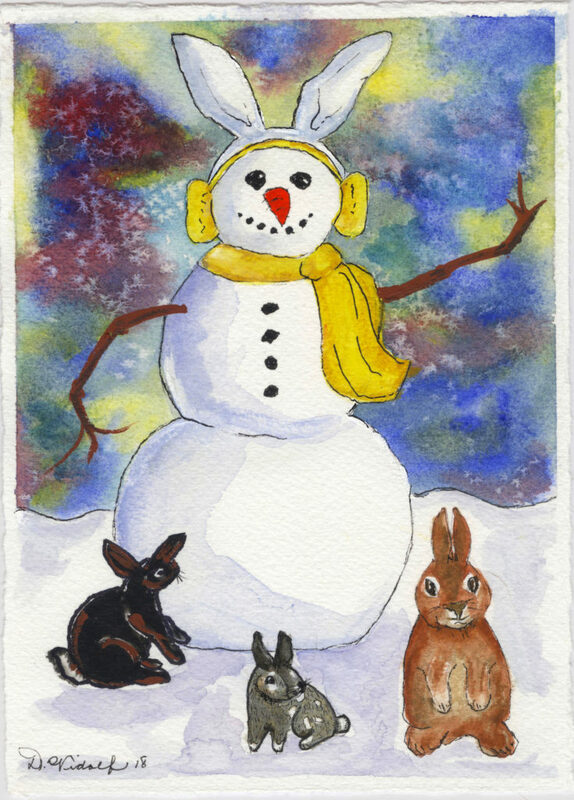 Sending Christmas and holiday greetings with kind, peaceful and compassionate wishes for all beings in the new year to come. The Bunny Emergency kit is designed to aid bunny parents and their bunnies before they are able to get to the vet, or in case of vet closures​, as well as in minor incidents. The kits have 20 or more items to aid in stasis and other minor emergencies. The kits are packaged with love and 100% of proceeds go to rescuing and helping other rabbits. The Basic Bunny ER kit is $65.00, with $25.00 going directly to rabbit rescue. You can specify the rabbit rescue of your choice or choose to help out Rusty and Furriends : Vegas Dumpsite Bunnies. Get one for yourself and give one as a gift! Ordering info HERE. Wanted to give a “shout out” to the city of Las Vegas, NV. for the new pet ordinance that was passed to require that all pets for sale, including rabbits, are now required to be spayed or neutered. If the store or shelter does not provide the service a voucher must be provided and follow up is required to document that the surgery was done. This is a big step forward for the city of Las Vegas to show that they are willing to help with the homeless and abandoned pet population for all pets no matter the species. You can help the animals by letting city officials know of abandoned animals and that you are very interested in having this new pet ordinance rigorously enforced. Please thank them and stay involved. I saw a post from a rabbit rescue site asking for advice for an person that adopted a rabbit with an “aggression” problem. Hopefully my thoughts will help others that have a rabbit with similar challenges. “Staying Strong in Rescue”, presentation by Debby Widolf at the House Rabbit Society’s National Conference in San Diego, 2017. Hello, it is my hope that this talk will be helpful to those in animal rescue work, no matter what the species. You are welcome to share my talk as a learning tool. Thank you all in rescue and animal care and advocacy for your courage and dedication. 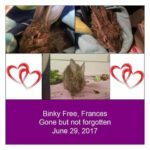 This is a memorial poster for “Frances”, a lovely rabbit that was recently dumped at one of Las Vegas, NV.’s dumping sites for abandoned domestic rabbits. The volunteers that come to feed, water and to help the seriously ill rabbits noticed her quickly as a newly dumped rabbit. 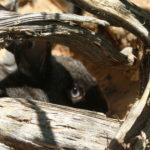 Being a new bunny on the block of a dumpsite where hundreds of rabbits are competing for sparse resources is even more life threatening when the rabbit is not a part of the established colony. Frances was likely the last to get to eat the food left by volunteers. She would not have been allowed to join others in burrows or places of relative safety in a place where few sites exists. So many others in a strange unfriendly world competing for life. Through the compassion of those doing their best to help the rabbits, Frances was brought to safety. She was weak, dehydrated, frightened and close to death. She tried to eat, live, but her body gave out and she left this world. Frances deserved so much better. We as the human species can do so much better. Please, help the rabbits and those that risk their hearts to help them. The dontdumprabbits.org billboard campaign has been a success! Since the campaigns beginning two years ago there has been one large billboard on I-15 and multiple digital billboards throughout the city of Las Vegas, most recent a ten week run prior to Easter. Thank you to all who believed and donated to the campaign. The billboard campaign is now completed. I am looking at plans to go forward with the goal to continue to help abandoned rabbits. The dontdumprabbits.org website will stay active with news and resources, please continue to visit and contribute to the site by contacting: gbunnydance@hotmail.com.